Danny Edwards is Research Programme Manager for the Access to Medicine Index, managing the programme’s dedicated research team. The Access to Medicine Index ranks 20 of the world’s largest pharmaceutical companies based on their efforts to address access to medicine, including in strategy, governance, R&D and pricing. In addition to managing research and analysis for the Index, Danny coordinates the development of each Access to Medicine Index methodology, including the processes for stakeholder engagement. Danny’s background is in policy development in global health, specifically in intellectual property, research and innovation. He has held various positions providing policy advice to governments and international non-governmental organisations. Prior to joining the Foundation, Danny served in the UK Civil Service leading on policy development related to public health, intellectual property and the pharmaceutical industry, representing the United Kingdom at intergovernmental meetings at WIPO, the WHO and the WTO. 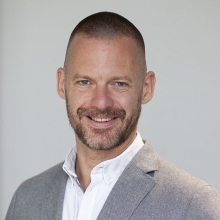 Danny has also worked at the Geneva-based Council on Health Research for Development, developing and implementing programmes aimed at supporting equitable North–South research partnerships, and at building research capacity in low and middle income countries.